A teal ribbon is fastened to the fence leading up to Howard L. Goff Middle School. 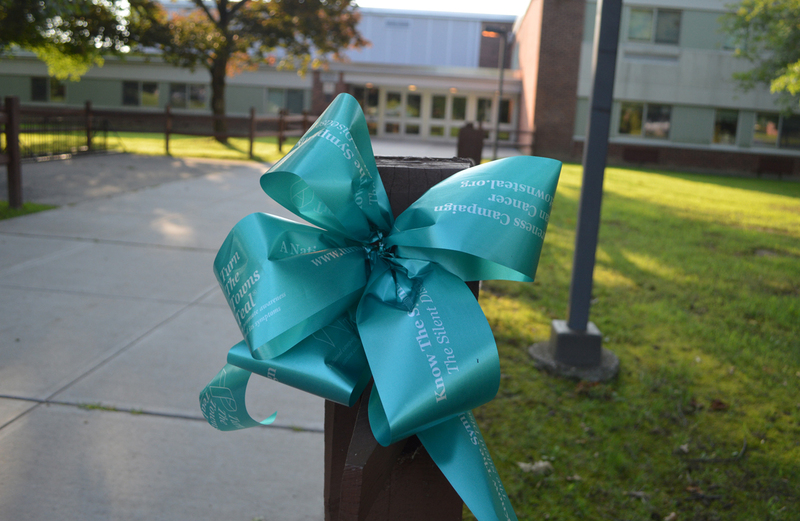 It is one of dozens that were displayed throughout East Greenbush on Friday to raise awareness of ovarian cancer. 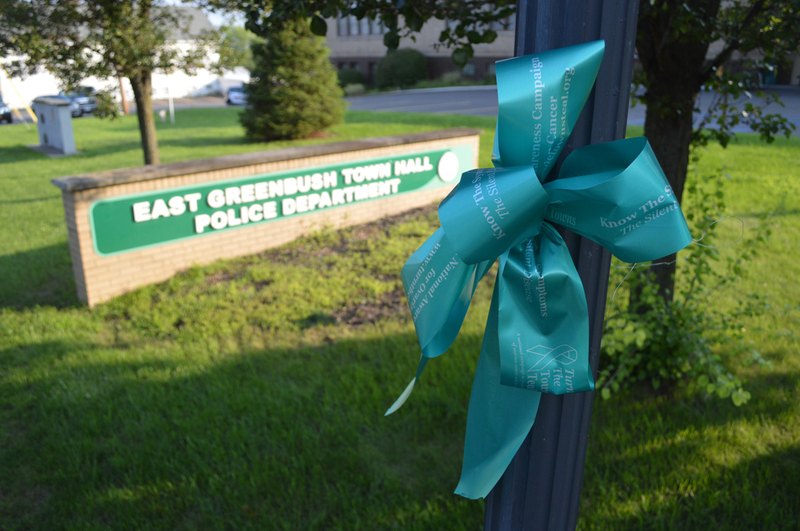 Large teal ribbons dotted schools, businesses and main roads in the Town of East Greenbush on Friday thanks to a dedicated group of volunteers. 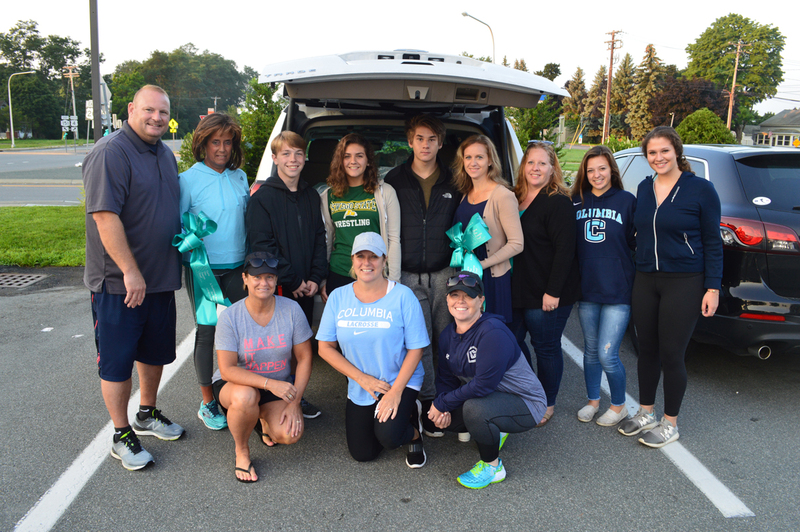 Organized by Columbia Athletic Director Michael Leonard and his wife Mary Signorelli, about a dozen Columbia students and parents drove in a caravan to Turn the Town Teal and bring awareness to ovarian cancer. 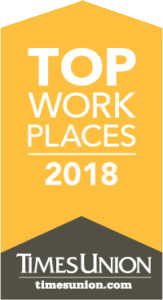 Each year, about 20,000 women in the United States are diagnosed with ovarian cancer and it is the fifth leading cause of cancer death among women, according to the Centers for Disease Control and Prevention. 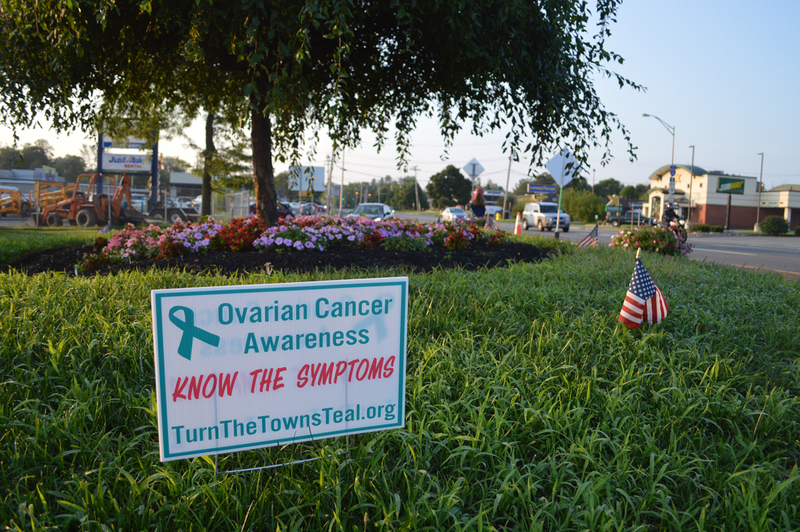 The Turn the Towns Teal national campaign promotes awareness of ovarian cancer and its often subtle symptoms. 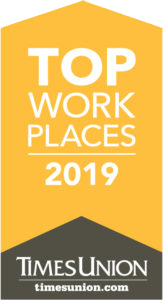 The local effort is a joint project between Columbia High School Athletics, East Greenbush Central School District and the Town of East Greenbush, whose public works department displayed teal ribbons in parks and municipal buildings. Columbia Athletics has been a longtime supporter of this cause, donating more than $25,000 from fundraising events over the years to Caring Together, an ovarian cancer support, education and awareness group located in the Capital Region.